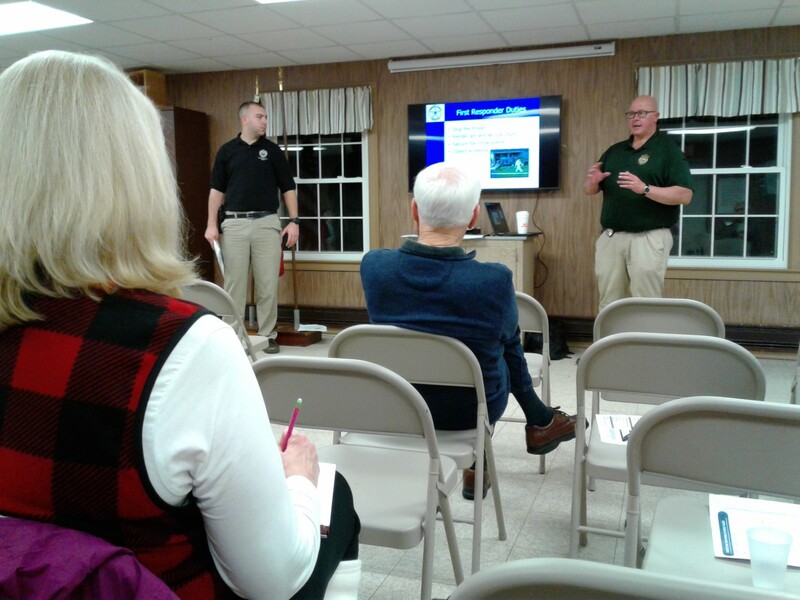 On Thursday, January 24th, we had a great turn-out for the seminar given by Lt. Eric Foulds and Student Resource Officer William Enright of the North Andover Police Department. This was timely information in light of yet another shooting in a public place the day before. 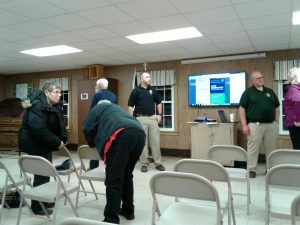 Attendees learned about the ESCAPE model for survival, a six-step plan developed from actions taken and decisions made by those who survived mass shooting attacks. They explained how students now practice these type of drills but adults are unaware of the basic steps that can be taken in an emergency situation. Thank you NAPD for all you do! 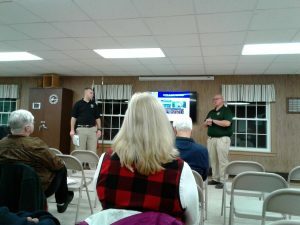 SRO William Enright and Lt. Eric “EJ” Foulds explain emergency strategies as the crowd listens.